Take some time for yourself and hit the reset button at a Tata Harper Skincare Signature Spa Room. Tata carefully crafted our Spa Menus to deliver supremely soothing, yet transformative results without a single drop of synthetics. Each treatment was curated to be unique and indulgent, allowing our advanced techniques and technologies to work wonders. These wonders don’t just stop at facial rituals, we believe that your entire body deserves indulgent, high-performance care, not just your face. So pamper yourself with our body rituals and treatment enhancements too to achieve a refreshed, rejuvenated appearance. Experience this and more on the greenest stop on your vacation. The ultimate destination for r&r. The Fairmont Banff is nestled in the heart of Banff National Park, which means stunning views year round. Take some time to recharge at this desert Oasis and try our age-defying facial. It supports collagen to lift and firm the skin, while BHAs brighten and exfoliate the skin. The skin is then infused with vitamins, nutrients and minerals to nourish and protect the skin. Completely unplug at the luxurious Rosewood Mayakoba. This exclusive hotel is surrounded by lush jungle and unparalleled beaches. Harnessing the essence of its surroundings into it’s spa, the Rosewood Mayakoba provides an exceptional experience. Le Bristol houses one of our select Tata Harper Spa Rooms, designed to combine Parisian charm with a soft and serene atmosphere. 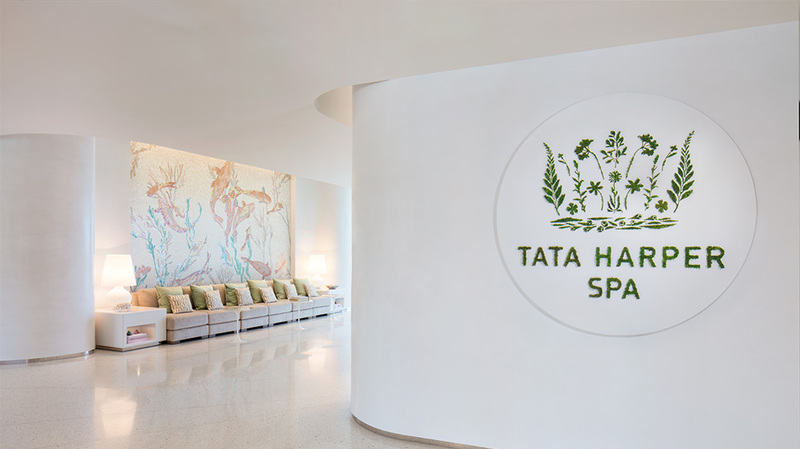 It also houses an exclusive Tata Harper Skincare treatment menu, curated specifically for this space. The grandiose Villa Feltrinelli is located on the coast of Lake Garda, and despite its appearance, the vibes here are seriously chill so grab a bite at its 2 michelin star restaurant and head to the spa room for the ultimate Tata Harper Skincare treatment. With treatment beds that hover above the gorgeous green lagoon, and overlook the magnificent Mount Otemanu the Four Seasons Bora Bora Overwater spa suite provides a Tata Harper Skincare ritual like no other. 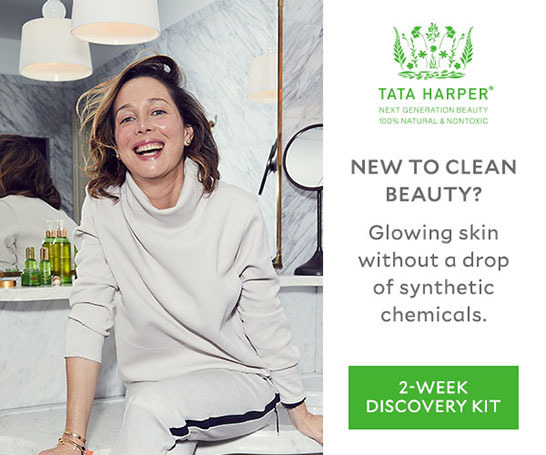 Stop by Etiket Montreal to experience the complete Tata Harper Skincare treatment menu, including some exclusive treatments like the Etiket Signature Facial and ETIKET Nourishing Body Wrap. This spa room offers the perfect opportunity to step away from the city without stepping foot outside of the city. Discover your best skin with this intensive, renewing treatment, catered to your skin&apos;s specific needs. Relax and unwind as you enjoy a customized cleansing and multi-masking ritual, paired with a vitamin-rich facial massage to leave your skin looking perfectly balanced and truly radiant. Achieve balance and improve the look of skin’s tone and texture with a complete complexion perfecting reset. Harnessing the power of natural exfoliants and masks, you’ll be polished to perfection to reveal soft, even, vibrant skin. A soothing massage ensures both you and your skin are left feeling healthy, balanced and renewed. Quench thirsty or sensitive skin with this calming therapeutic treatment, designed to replenish skin to give you a soft, supple, and lifted look. Combining deeply moisturizing formulas with our Raw Organic Honey mask, this treatment will give your skin essential hydration for long-lasting comfort. Get your best glow with no down-time with our 100% Natural Multi Acid Peel, crafted to deliver a flawless looking complexion using an innovative blend of multi-hydroxy acids. Your skin will feel transformed as this ritual instantly reveals a more luminous looking tone and smooth, even texture for radiant,event-ready skin. Indulge your skin with the ultimate facial experience. This lavish treatment pairs the height of green biotechnology with multiple facial massage techniques to nourish and lift the look of your skin, while a rejuvenating hand treatment helps you find deep relaxation. Warm and cold eye therapy is the finishing touch for skin that feels instantly revitalized with the glow of youth. Available treatments may vary by location. Renew the look of one of the first places to reveal our age with a smoothing, polishing scrub and age-defying mask for a silky and supple feel and youthful touch. Energize tired eyes with this invigorating treatment. Thermal Hot and Cold therapy coupled with targeted acupressure massage provides an instant reduction in visible puﬃness and signs of fatigue. Restore youthful radiance to one of the first places to reveal our age: our hands. Our 100% natural peel will brighten, smooth, and even the appearance of skin tone for hands that look completely renewed. Energize your skin with this invigorating, deep cleansing ritual, designed to purify, minimize the appearance of pores, and prevent and soothe ingrown facial hairs. This revitalizing treatment will leave you looking well-rested and refreshed. Restore tired muscles and detoxify your skin with this full body treatment. Our buﬃng Body Scrub and a deeply cleansing back mask remove surface impurities, while a restorative massage soothes sore muscles, leaving you feeling relaxed and energized. Restore balance to even the hardest to reach places with this targeted back treatment. This deeply cleansing ritual reduces congestion, removes surface impurities, and helps minimize the look of imperfections and hyperpigmentation to reveal an even looking tone and silky, smooth back. Experience total relaxation with this comforting ritual. A top to bottom buﬃng with our powerful, biodegradable Body Scrub leaves skin smooth, supple, and perfectly polished. Slip into a sense of peaceful serenity during a soothing massage with our luxurious Body Oil for a complete sense of rejuvenation and wellbeing. Redefine your skin from head to toe. This richly hydrating wrap with our multi-correctional technology works to visibly lift, plump, and firm the look of your skin. A soothing and nourishing massage helps any tension melt away, leaving you feeling as renewed as your skin looks. Nourish and boost even the most stressed skin with this vitamin-rich full body treatment. Our powerful, biodegradable Body Scrub smooths and polishes skin, preparing it for a nourishing body massage and replenishing wrap. Designed to infuse skin with antioxidants and condition with Raw Honey, your skin will feel supremely healthy and hydrated. Re-energize tired skin with this revitalizing treatment, designed to deliver a total body refresh. Your skin will be polished to perfection, then clarified with targeted treatments including a detoxifying body wrap designed to purge skin’s surface of built up toxins. A relaxing massage is the finishing touch to help you feel completely reinvigorated after travel or even just a long day. This age-defying body massage combines luscious natural ingredients with advanced massage techniques to visibly enhance skin’s look of firmness and elasticity. A complex blend of rich Murumuru butter, vitamins, and antioxidants quenches thirsty skin with youth-giving moisture to tone and tighten, leaving you looking and feeling completely refreshed. This revitalizing body massage invigorates skin and deeply hydrates to restore a plump, youthful look. Essential vitamins, minerals, and nutrients nourish to help promote healthy looking skin, while the intoxicating scent of our farm-fresh, 100% natural aromatic blends soothes the senses. Both skin and mind will feel re-energized and radiant.